12 years ago we embarked on a US tour with Journey and it was an absolute blast. Looking forward to hooking up again. Believe me, this will be even more spectacular. Why See Journey and Def Leppard? 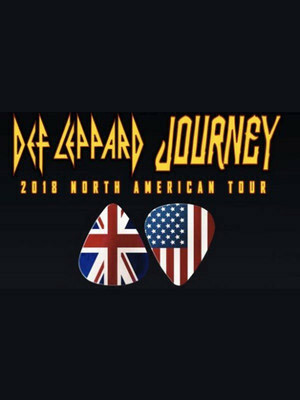 Journey and Def Leppard, two of the biggest names in Rock music for over 40 years are joining forces to bring their fans a night of epic Rock across North America. With hits like 'Don't Stop Believing' and 'Bringin' On the Heartbreak' fans will be awash with hit after hit of Rock anthems, so back-comb your hair, grab your guitars and get ready to ROCK! Both forming in the 1970s Def Leppard and Journey became the figure heads of Rock music throughout the 80's. With their epic guitar riffs and anthemic melodies Def Leppard and Journey quickly became household names across the globe. Now, 40 years later these two legendary bands combine their musical might to bring their fans an experience they will never forget. 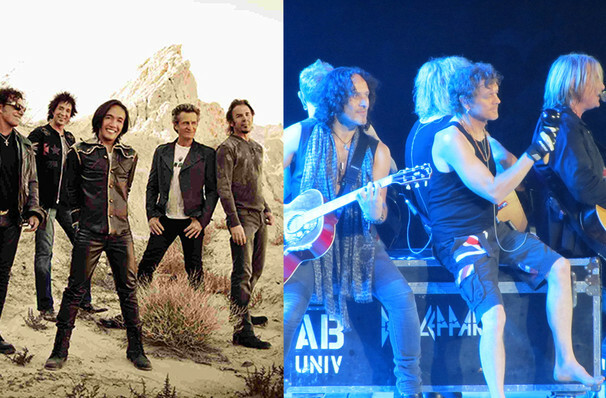 In a night that will be just as high octane as their first tours, join Journey and Def Leppard as they bring you their plethora of hits as well as their latest musical offerings. With a combined 175 million records sold world wide both bands can boast of huge global success, and with no sign of slowing down we can expect many more years of ROCK! Sound good to you? Share this page on social media and let your friends know about Journey and Def Leppard at Rogers Centre. Please note: All prices are listed in US Dollars (USD). The term Rogers Centre and/or Journey and Def Leppard as well as all associated graphics, logos, and/or other trademarks, tradenames or copyrights are the property of the Rogers Centre and/or Journey and Def Leppard and are used herein for factual descriptive purposes only. We are in no way associated with or authorized by the Rogers Centre and/or Journey and Def Leppard and neither that entity nor any of its affiliates have licensed or endorsed us to sell tickets, goods and or services in conjunction with their events.